I am running on my Blackberry Motion 8.1 , and I see on my app list, this app called "Preview"
What the heck is this app for?.. 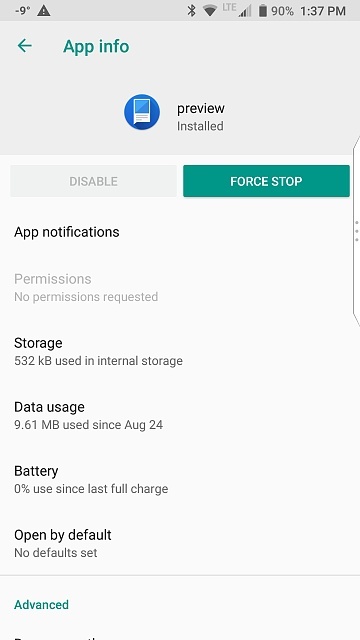 is it a system app?.. do I need it, and can I get rid of it somehow?? Since all you see is a greyed-out Disable button, that means you can't uninstall it nor disable it. You'd have to root the phone in order to remove it. The reason I am asking is that on my BB Motion Contacts app.. 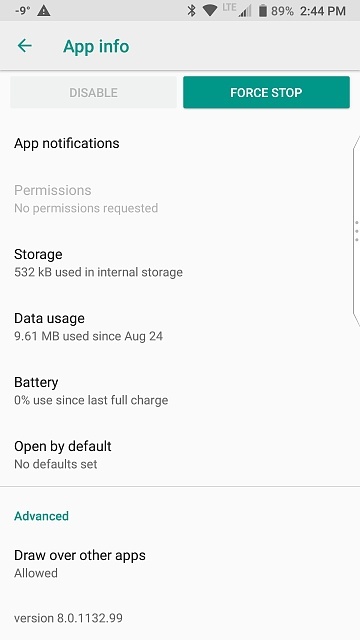 I have two listings of my DUO accounts.. and I found that one is listed a "Duo Preview", and for the life of me, I can not see where an how the CONTACTS app is picking up this so called "DUO PREVIEW"
Here is a thread I have on crackberry forum..
Any suggestion(s) would be greatly appreciated!! I wish I could give you more details, but it's tough without direct experience with Blackberry phones. My guess would be that the Preview app's functionality includes direct access to the various accounts on your phone, and will still show up even if you don't utilize that functionality (i.e., it'll show up as 0 contacts). It sounds like clumsy implementation. But that's just a guess -- let's see if anyone else can weigh in. It would probably be worth moving this thread from the Oreo forum to the BlackBerry Motion forum, for more specific traffic. Let me know if that's ok with you. Hi Diddy.. Thanks for the feedback, and moving it to the BB Motion would be cool.. THanks! It looks like a short manual of the phone, if you start it.